After conquering her fears to win gold at the Olympic and Commonwealth Games, Nicola Adams now finds herself confronted with another challenge. Entering the boxing ring this time as a Mii Fighter under the brawler category, Nicola takes on Little Mac in looking to claim victory against Nintendo’s characters. 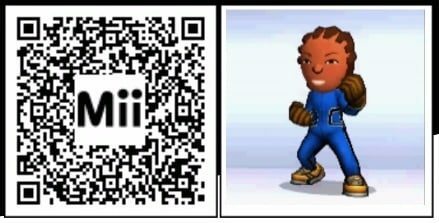 You can also battle it out against Nicola by scanning the below QR Code in the Mii Maker application. Good luck! Super Smash Bros. for Nintendo 3DS is now available worldwide.